but dads can join too! - Are you tired of answering your mom’s same questions about the internet and social media? We have the solution for you. 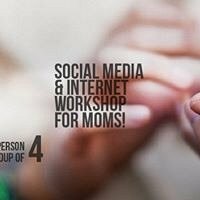 A social media and internet workshop that will give the answers to your mom once and for all. - Are you interested in Social Media but never had the chance to understand it fully? This Social Media & Internet Workshop is created to help you.